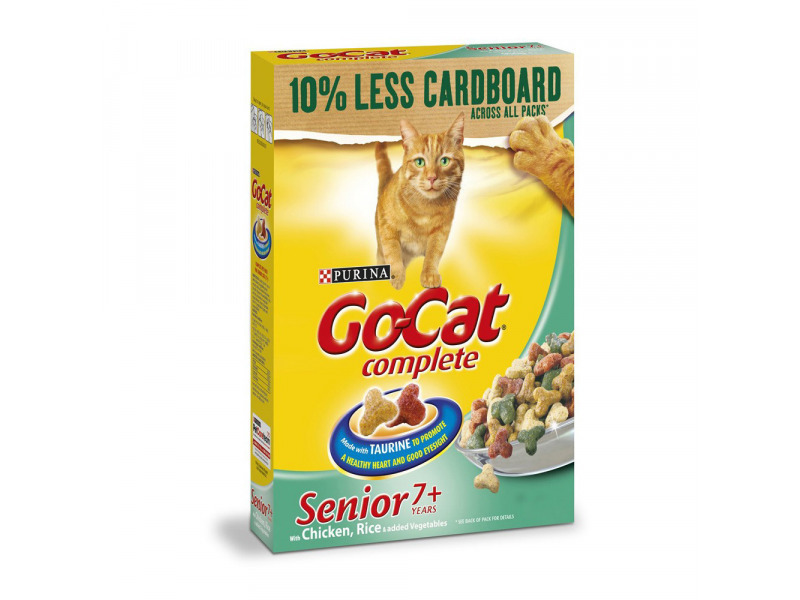 Go Cat Complete Senior is a complete food for older cats (over the age of 7). It has been specially developed to suit the needs of older cats which are significantly different to those of younger cats. It contains an optimum balance of nutrients to particularly support your cat's bones and urinary tract. It also contains easily digestible protein to suit your cat's health and slower metabolism. The immune system will be boosted with 25% extra added vitamin E to keep your cat feeling mobile and active. As your cat ages his nutritional needs change. He has more difficulty digesting protein and his immune system can start to show the signs of a long and busy life. A senior cat will often become less active which can pose a challenge when it comes to maintaining an optimum weight level. Go-Cat Senior helps tackle the signs of ageing with a formula that addresses a senior cat's specific needs. Easy crunch kibbles recognise that your cat's teeth may not be as strong as they were. Key ingredients include rice for digestive efficiency and weight management and chicken as an excellent source of high quality protein. Go-Cat Senior supports your senior cat. Cereals (Min 4% Rice) Vegetable Protein Extracts 9Min 4% Chicken) Oils Fats and Minerals, Derivatives of Vegetable Origin, Yeast, Vegetables (Min 1% Carrots and 1% Green Vegetables). Go-Cat Complete for Senior Cats is perfect for cats aged 7 and over. These guidelines are based on moderately active cats. Individual needs vary and feeding should be adjusted as required. Fresh, clean water should always be available. 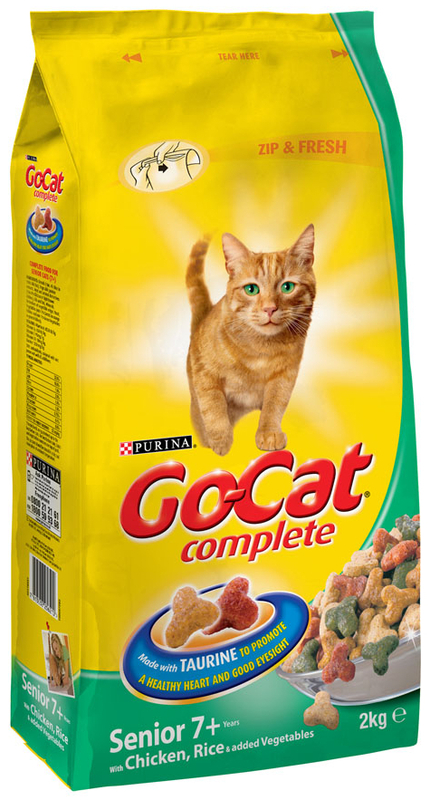 There are currently no questions for Go-Cat Complete Senior Chicken, Rice & Vegetables Cat Food - be the first to ask one!